Before leaving for Mumbai to start shooting for Kaala on Saturday, Rajinikanth spoke to reporters at Chennai airport like an actor who had no intentions to turn politician. "Kaala's shooting is starting from tomorrow. I am leaving for Mumbai now for the shoot. My job is acting and I am going now to take care of my work. What you are doing is your work and let me do mine,'' he said. 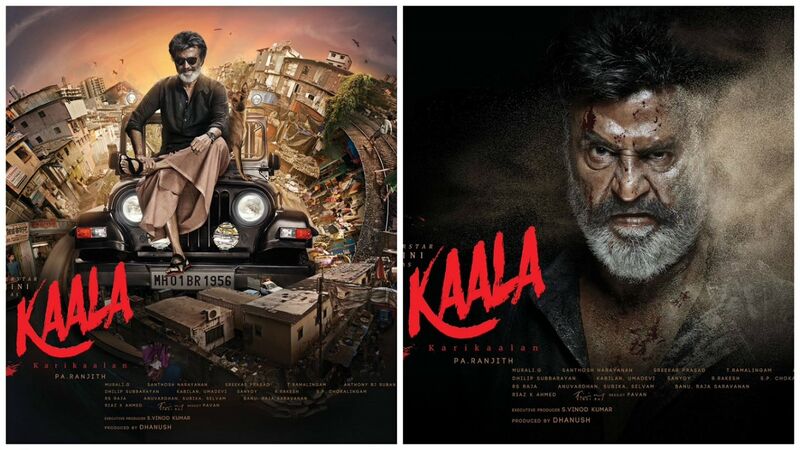 The poster's of Rajinkanth's Kaala. That clinical devotion to the call sheet would seem to suggest that all the talk about a real life political role for Rajinikanth is much ado about nothing. But away from the public glare, information is trickling in about work happening to facilitate a political launch for the Superstar. Sources indicate that at the Rajinikanth end, his wife Latha is the pointsperson setting up the back office. Before the superstar left for Mumbai, phones were worked to set up meetings with people from all walks of life, where Rajini popped the question if he would be taking the right decision by jumping into politics and heard different points of view. With advice coming from a Chennai-based editor, the decks, it would seem, are being cleared for a political plunge once Rajinikanth is through with the shooting part for Kaala. 40 per cent of the movie, being produced by son-in-law Dhanush is being shot in Mumbai and the remaining part will be shot at a Dharavi set that is erected in Chennai. There is buzz about an August 15 launch though there is no official confirmation on the date. Sources in Chennai and Delhi suggest that barring last minute jitters and change of plan, it is almost certain that Rajini will float his own political outfit. He has been advised by top politicians, including in the BJP, that joining the saffron party will not be politically prudent. Rajini's party will then have a pre-poll alliance with the BJP and the Panneerselvam faction of the AIADMK. Given Vijaykanth's equation with Rajini, the two actors could come together as well in the hope of producing a political blockbuster. The BJP got only 2.8 per cent vote in the assembly elections last year while the DMDK fared worse with 2.4 per cent. The expectation is that Rajini will play a pinch-hitter role and bring at least 12 to 15 per cent vote to the kitty. If OPS is able to take away a significant chunk of the AIADMK vote, the rainbow coalition should be able to beat the DMK-Congress alliance that garnered 37 per cent in 2016. It could do even better if the Sasikala-Palaniswami camp comes a cropper and that vote shifts to Rajinikanth. While the Math sounds tempting, much depends on Rajini's Yes. No one knows if Rajini has bought into the idea completely. He is conscious of his image as a demi-god now and remains wary of tasting the embarrassment of a failure at this stage of his life. Sources say if the elections were to be held only in 2021, chances that Rajini will step in and have a four-year long probation period were pretty remote. 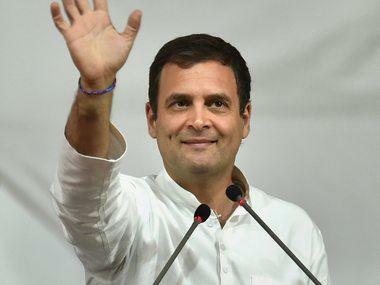 It looks more likely that he has been promised an early 2018 election that will enable him to do an NT Rama Rao, who strode to power within eight months of launching his party in 1982. The idea is to keep the run-time short, almost package it like a movie promotion. Rajinikanth shooting in Mumbai. Firstpost Image / Sachin Gokhale. Given that Rajini won't have 233 other candidates to stand under his umbrella, he is looking at credible faces to be by his side. The Indian Express reported that one of the names being considered is K Pandiarajan, former school education minister in the Jayalalithaa regime. 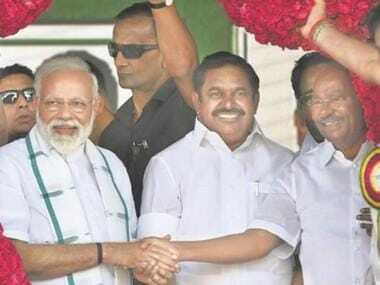 Pandiarajan switched over to the OPS side but of late, is not much in the public glare with Panneerselvam preferring the counsel of V Maitreyan and KP Munusamy. Rajini during his address to his fans two weeks back, laid down the ground rules for those seeking to be cast with him in a political role. No room for dishonest persons, he declared. That will mean many old timers from Tamil Nadu's political fraternity will not find favour with the Superstar. While BJP sources are certain Panneerselvam will be part of the plan, there are doubts if he will indeed agree to be a number 2 to a political novice. The PMK could also be on the radar given Anbumani Ramadoss's youthful image but the former Union Health minister has always spoken against actors ruling the roost in Tamil Nadu's political arena. But Kollywood that claims to know Rajinikanth well, remains certain he won't bite the political bait. Actors and producers who have worked with him say he shuns controversies and does not have the stomach for a political fight. K Hariharan, author and Professor of Film Studies says the stage-managed event with the fans seemed like a pure marketing gimmick for 2.0, that will release in January 2018. Rajinikanth's films, especially the recent ones, were never suspense thrillers. They followed a predictable script and were designed for an audience that felt happy seeing their favorite hero give a paisa vasool performance, peppered with his stylish mannerisms. But his political role seems full of suspense and the chatter on the street is that even Rajini may not know the script, leave alone the climax.